Little did this eight-year-old dreamer know that he would become the agent responsible for saving the life of President Ronald Reagan on March 30, 1981. Jerry grew up surviving three fathers, and as a result he became his mother’s protector, sleeping with a knife under his pillow and vowing to give his life if necessary in order to save her. These early influences not only shaped Jerry to become the head agent in Ronald Reagan’s protective detail, but they prepared him for a life of rescuing others. 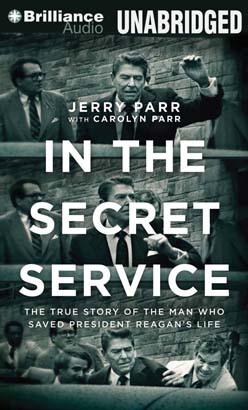 Jerry describes his transition from the vigilant life of a Secret Service agent to one lived in service to others, saying, “It’s a strange twist that having spent my so-called prime years protecting political figures from death, I spend a lot of time now helping people to surrender to it. In spite of all the risks I took and all the near misses, I have lived a long life. God’s love has sustained me and sustains me still. It will carry me through my inevitable rendezvous with death.” At times heart pounding, at times heart rending, this richly textured memoir of a Secret Service agent will move you first to the edge of your seat, then to the depths of your soul.